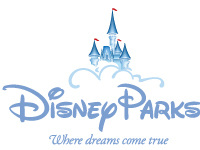 Morris Murdock Travel is a Disney® EarMarked Partner and provides the best value for your next Disney® vacation. Click the buttons below to explore your Disney® options, then call us to plan and book your magical vacation! Disney Land, the happiest place on earth keeps getting happier! Plan for enough days to discover two amazing Theme Parks - Disney California Adventure® Park featuring the 12-acre Cars Land and the one-and-only original Disneyland® Park with its world-famous attractions and beloved Disney Characters. Stay at the Hotels of the Disneyland Resort where an incredible vacation becomes an unforgettable storybook escape. First-class amenities offer more relaxed family time for making memories. Plus Downtown Disney® District, an eclectic entertainment, dining and shopping district is just steps from your Hotel. Your family vacation is more magical than ever at the Disneyland Resort! Disney World: With more places to go, more things to see and more Disney Characters to meet, there's never been a better time to make the dream come true at the Walt Disney World® Resort. Enjoy a week-long vacation experience highlighted by four not-to-be-missed Theme Parks, each with a unique version of Disney magic. Discover a world of entertainment and family fun that knows no boundaries. Choose from 23 imaginative Resorts and explore endless world-class shopping, dining and recreation. Adventures by Disney: It's a big world. An amazing world. Let's adventure together. Let Adventures by Disney® be your guides, your storytellers, your local experts and your masters of hassle-free guided group travel. We'll take you where you want to go. Bring you closer to the places you visit. See to every last detail. And make sure every moment of your vacation, for everyone in your family, is a moment you'll want to remember again and again.